It's a bit of a quiet weekend in Sonoma County. Fundraising season hasn't quite kicked off yet, but just wait...a ton of crab feeds are just around the corner! This weekend it's all about live entertainment. Throw in a Wedding Show for good measure and your weekend is complete. Go make some fun! "An Event to Remember!" 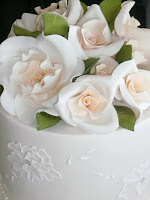 Local wedding vendors have worked very hard to bring the brides of Sonoma County an elite list of experienced & dependable companies for the planning of your upcoming event. 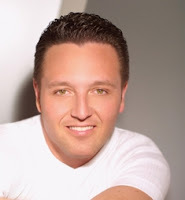 For twenty five years—through, lectures, television, and his many best-selling books—internationally acclaimed psychic medium, John Edward has brought a fresh, honest and thought provoking attitude to the world of psychic phenomena, helping thousands with his uncanny ability. Deeply compelling, often startling and occasionally humorous, Mr Edward uses his unique abilities to connect people with loved ones who have passed on. His down to earth approach has earned him a vast and loyal following. Come celebrate the AFTER life for a special evening of readings and questions and answers with the audience. You pay $5 at the door and if you want to, you put your name in a hat. Ten or so folks are invited up on stage if their names are drawn. At the end, a final name is pulled from the hat and that person judges who had the best five-minute story. The winner gets $50. Wine and beer sales benefit the Cinnabar Theater. Hot on the heels of the most successful year in franchise history, the legendary Harlem Globetrotters will celebrate their 85th consecutive season when their dazzling 2011 “4 Times the Fun” World Tour stops in Santa Rosa, showcasing the wholesome family entertainment that has provided lifetime memories for generations of fans. The Harlem Globetrotters will take the court at Haehl Pavilion at Santa Rosa Junior College on Wednesday, January 12, 2011 at 7pm. & Haehl Pavilion box office. Info on group & scout tickets can also be found at Click here for details. The North American leg of the 2011 “4 Times the Fun” World Tour will tip-off on Dec. 26, 2010, and runs until mid-April. The team will play over 270 games in more than 220 cities in 45 states and six Canadian provinces. Take advantage of the lowest prices in the market for the finest quality of jewelry, gems, beads, crystals, silver, rocks, minerals & much more! Over 70 exhibitors from all over the world will be on site. Jan. 14th - Jan. 16th. Put on by the 7-11 Lions Club of Petaluma. Gigantic Raffle! Crab, Past, Salad, French Bread & Ice Dream for Dessert! No Carry-in Alcohol or Coolers allowed. This is an "All-you-can-eat" crab feed, w/ a full dinenr plus great pasta. Advance tickets are a must: $38/Adult, $19/Children under 12. 1st Seating: 5:30pm, 2nd Seating: 7:30pm. Enjoy a full weekend of Wine, Art & Education - Over 125 Wineries. $45/Weekend, $35/Sunday only, $5/Designated Driver, Ticket increases $10 at the Door. Hours: 11am-4pm Both Days - (1/15-1/16).